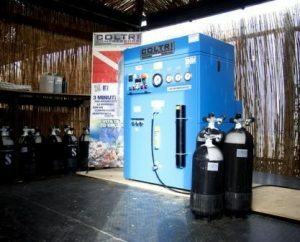 Our Diving Center has everything you need to be able to dive and dive safely. During scuba diving it is important to have appropriate clothing that allows you to move at ease in the marine environment. 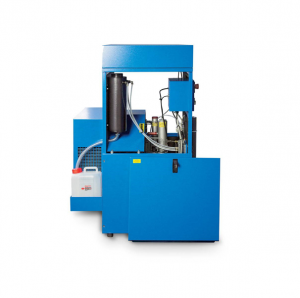 The equipment that you will find at the Sea Spirit diving resort is of high technical quality and with characteristics of high reliability, continuously renewed, overhauled and controlled. For the equipment we rely on the experience, the reliability and the professionalism of one of the biggest manufacturers in the world: the ScubaPro Uwatec..
Every season, Sea Spirit Diving Resort works intensively together with SCUBAPRO. 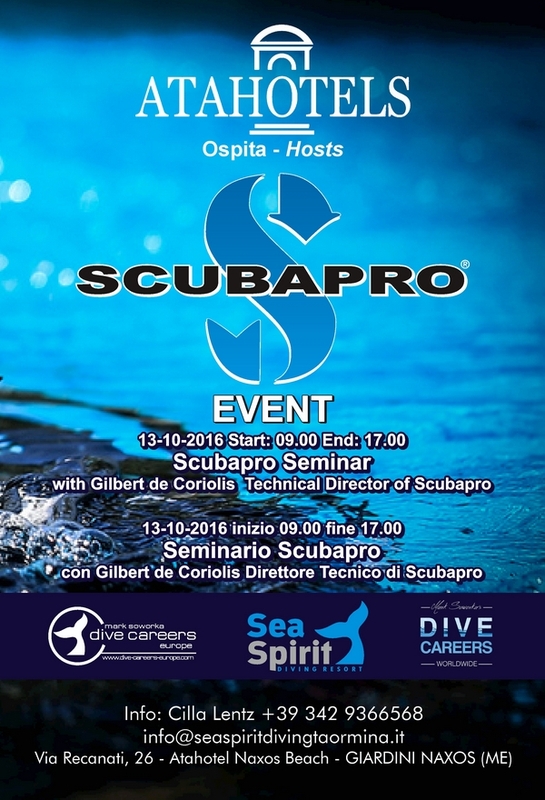 In cooperation with their regional managers and Global Diving Technical Director, Gilbert de Coriolis, Sea Spirit offers the possibilities to our customers to test the newest products and follow equipment workshops. 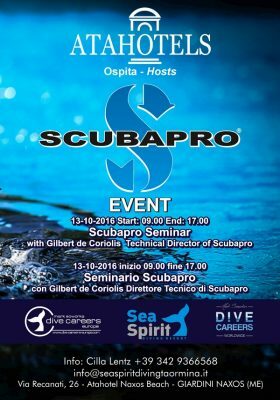 The SCUBAPRO Events are organized at the ATAHOTEL Naxos Beach in Giardini-Naxos. ATAHOTELS facilitates the conference rooms for the equipment workshops and we use the Olympic swimmingpool to try the equipment like drysuits, semi-drysuits, regulators, different models of BCDs, fins and underwater cameras. 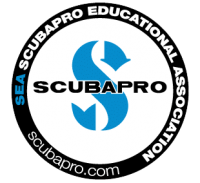 SCUBAPRO first appeared in the scuba diving world in the early 1960’s. 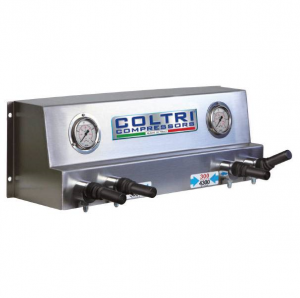 They brought to the market many innovations for diving that are still being used today. Also today, SCUBAPRO remains a premier manufacturer of scuba diving equipment.